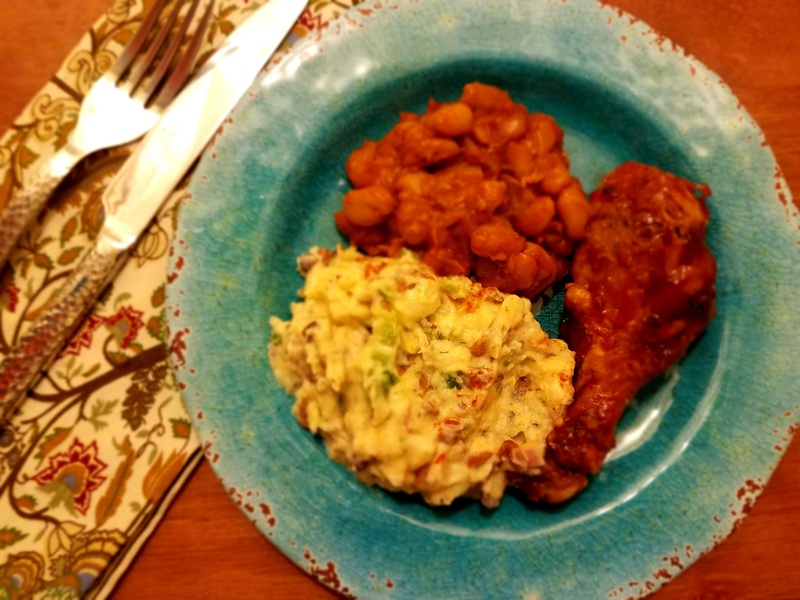 Barbecue chicken and baked beans are lonely without potato salad. Memorial Day. 4th of July. Labor Day. Outdoor picnics. For these occasions, there will be potato salad on the table. Potato salad is just not salad. It’s a rite of summer passage, an American tradition, the obligatory side chick, and the expected accompaniment. And to be honest, in some circles it’s just plain sacrilegious if it’s not on the summer picnic table. 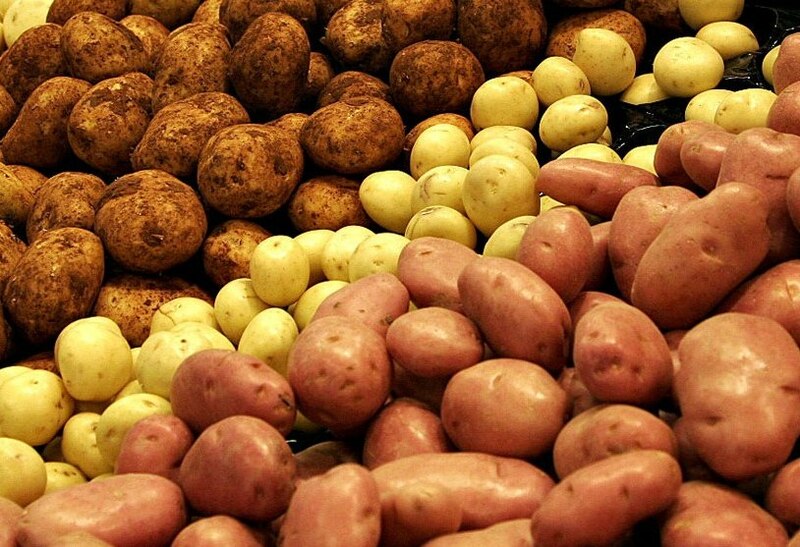 When it comes to potatoes, there are many choices. A lot of liberty can be taken in making potato salad. I’ve had it hot, cold, made with bacon, bleu cheese, oven roasted potatoes, sweet potatoes, dill pickles, olive oil vinaigrette, chunky, mashed and I can go on. What potato salad will be on my Labor Day table? It’s absent of eggs and pickles, because they are not my fave, and it has my beloved fresh tarragon and a lovely, smoky light dressing. So, without any addition fanfare or narrative, the recipe is below. Thanks to the folks at Goya Foods for providing some of the ingredients used in this recipe. Have a wonderful Labor Day! No eggs or pickles here, but add them if you must! Place the peeled and cut potatoes and 1 tablespoon of salt in a large pot of water. Boil the potatoes in for 15 minutes or until tender when pierced with a knife. Drain the potatoes thoroughly, and transfer them to a large mixing bowl. Set aside. In a small bowl make the dressing by whisking together the garlic mayonnaise, mustard, olive oil, sesame seed oil, liquid smoke flavor, salt, celery seed and Goya Adobo All Purpose Light Seasoning. Add the chopped bell pepper, red onion, chopped olives, tarragon and dill to potatoes in the mixing bowl. Add mayonnaise dressing and gently fold it in to combine. Add salt and pepper to taste. Refrigerate until ready to serve. A close up to make you hungry. 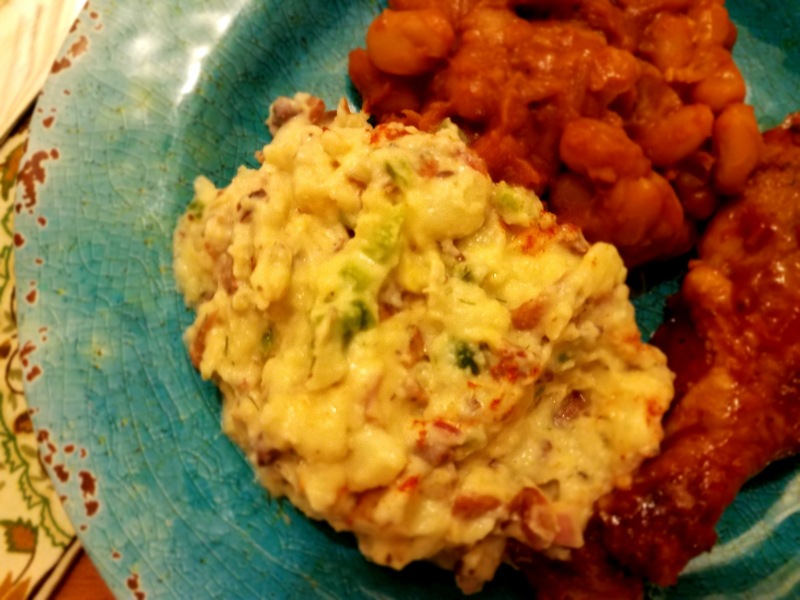 This entry was posted in Foodies and tagged 4th of July, American tradition, Comfort Food, cooking, GOYA Foods, Goya good, home cooking, Labor Day, Memorial Day, outdoor picnics, potato salad, potato salad recipe. Bookmark the permalink.